Xiaomi has started teasing the launch of the Redmi 4 in India. 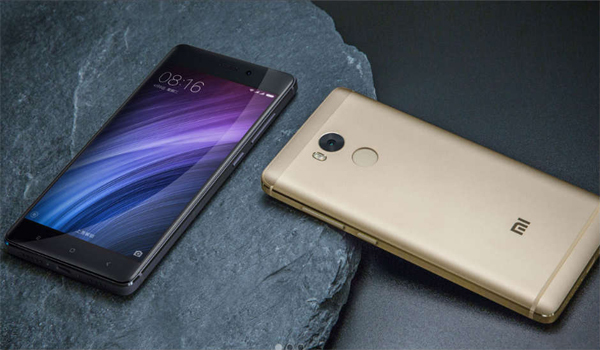 At the launch of Redmi 4A, Xiaomi had said that the company will soon introduce the successor to Redmi 3S in India. It now seems like it will be only be a matter of few days before the company makes Redmi 4 official. Xiaomi Redmi 4 was announced alongside Redmi 4A in China in November last year. The budget smartphone has been around for almost six months now and features a design similar to existing Redmi 3S range. The Redmi 4 features a 5-inch display and comes in two variants called Standard and Pro editions. The Standard version of Redmi 4 features a 5-inch 720p display and is powered by Snapdragon 430 processor coupled with 2GB RAM and 16GB storage. The Pro version offers a 5-inch Full HD display and is powered by Snapdragon 625 processor, which also powers the Redmi Note 4. Further, the Pro version offers 3GB RAM and 32GB storage. Like Redmi 4A, the Redmi 4 sports a 13MP rear camera and a 5MP front camera. The device runs MIUI 8, which is based on Android 6.0 Marshmallow and sports a rear-mounted fingerprint sensor. It is backed by a 4100mAh battery along with support for fast charging. The Standard version was announced at 699 Yuan (around Rs 7,000) while the pro edition was priced at 899 Yuan (around Rs 9,000).